The distinctive landmark of St Luke's Church stands high above the town of Ironbridge where the Industrial Revolution was born. 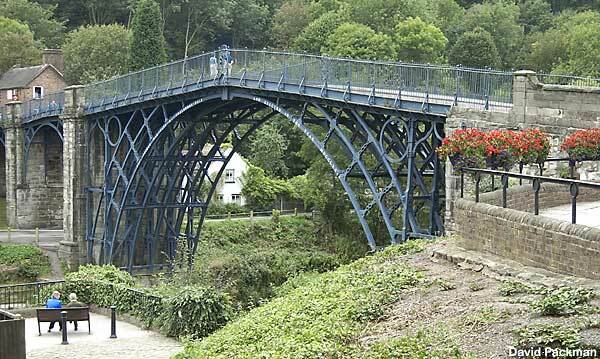 The Ironbridge Gorge with its' famous bridge was designated a World Heritage Site in 1986. 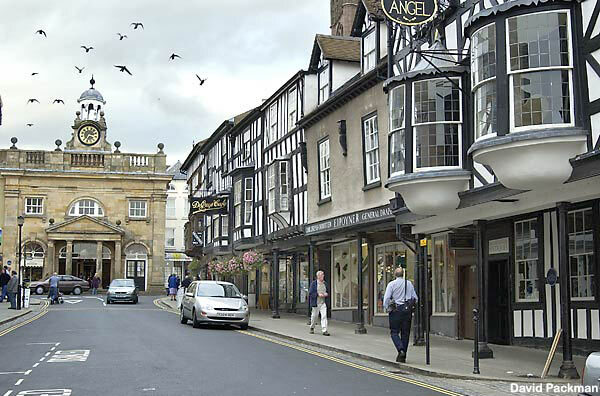 The bridge stands as a monument to three men, the Shrewsbury architect Thomas Pritchard, Abrahan Darby III, (the grandson of Abraham I, the first man to smelt iron using coke) and their ally John Wilkinson. The 370 tons of iron needed to build the bridge was produced at Darby's furnace at Coalbrookdale in 1779 with the bridge opening in 1781. Ludlow Castle is thought to date from about the 11th century, but its date of orgin is uncertain. 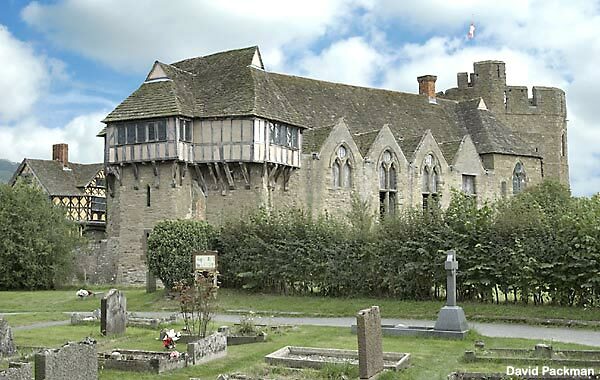 The castle has been owned by the Earls of Powis since the early 1800's. 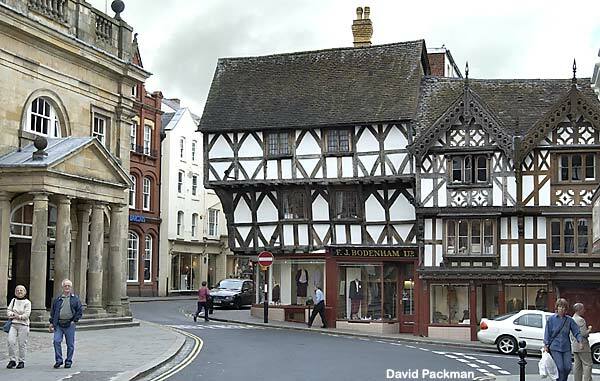 Ludlow - Broad Street with its period buildings, with at its head the Butter Cross. 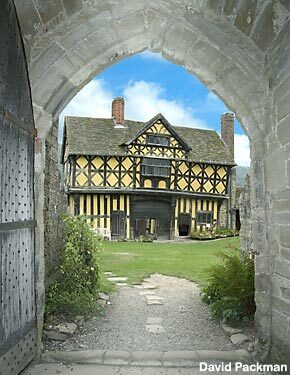 Stokesay Castle, a fortified manor house built by Lawrence of Ludlow has altered little since the late 13th century. 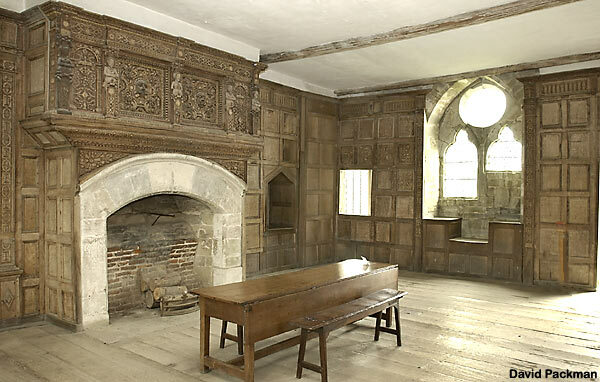 By good luck the manor house escaped destruction during the Civil War and is now in the care of English Heritage. The first-floor solar is a model of 17th century opulence. The gatehouse with its elaborate ornamentation. 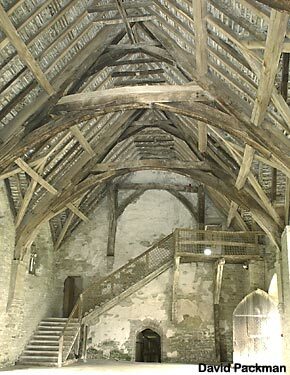 Interior of the hall, with its medieval staircase. 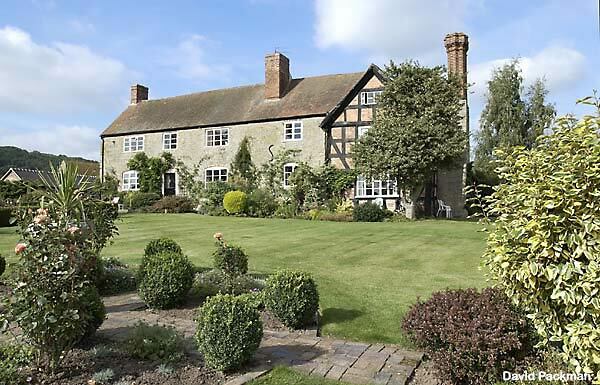 Shear Farm, one of Shropshire's beautiful old farm houses dating from the 15th century. 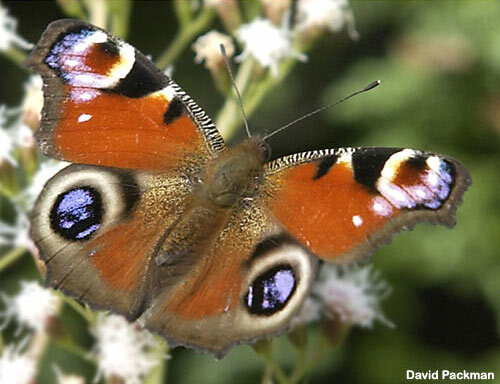 Peacock butterfly - The grounds of Shear Farm were alive with wildlife.